IMV CORPORATION (IMV) recently opened IMV America, Inc. in Anaheim, California, and successfully installed K125/SA32M (a 28,000 pound water-cooled shaker system) at Kelly Space & Technology, Inc. (KST)’s facility in San Bernardino as a major equipment demonstration showroom. The system will first be used for spaceship hardware vibration testing. IMV is the Japanese global leader of electro-dynamic vibration test systems providing single axis, sequential or simultaneous multi-axis up to six degrees of freedom (6 DOF). KST is a private aerospace technology and environment simulation test services company, and it is currently providing a qualification testing including NASA’s Space Launch System (SLS) hardware. The Space Launch System will be the most powerful rocket in history and propel astronauts, cargo and equipment into deep space. Publicly-traded (JASDAQ) IMV offers an industry leading 1-year warranty that covers one year of continuous, non-interrupted use of its vibration test systems, i.e. 24 hours per day, 7 days per week, 365 days per year, at the maximum performance level. The IMV systems at KST will serve to demonstrate superior product performance and augment KST’s growing environmental test service capabilities. IMV now have a solid foundation in the North American market together with a strategic cooperation agreement with KST since 2014. The KST’s facility also has IMV’s two 200 KVA IGBT 4th-generation amplifiers used for the SLS hardware vibration testing. In addition, the technicians of KST completed IMV Certification Program to support IMV’s service providers in North America. 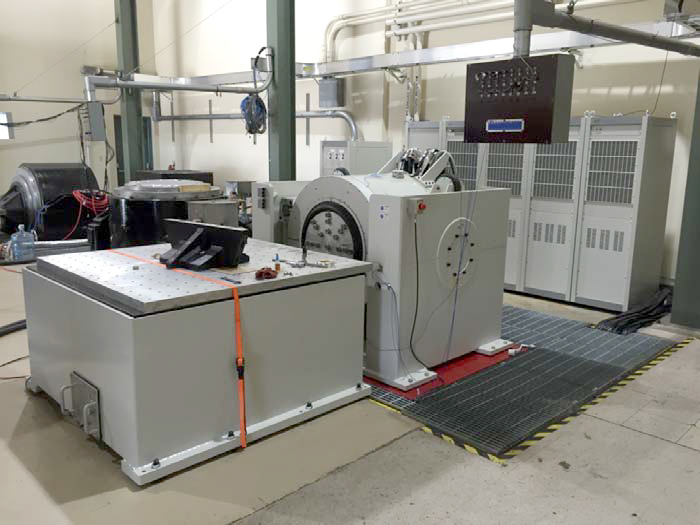 This enables IMV to offer the world’s most reliable and cost effective vibration test systems to the market especially to the aerospace and automotive testing sectors with KST’s track record of technical innovation and service responsiveness. KST is excited to partner with IMV who have proven quality vibration test systems for customers in Japan, Europe, Asia and Russia, such as Toyota, Honda, Nissan, Mitsubishi and The Japan Aerospace Exploration Agency (JAXA) that demand extreme reliability.